Featuring the Wellington City Shake-'Em-On-Downers. There is only one way to have a party and that is with the Wellington City Shake-'Em-On-Downers. Delivering the most scintillating swing, the most dapper Dixieland and the nastiest ole New Orleans sound to be found outside of a speakeasy. 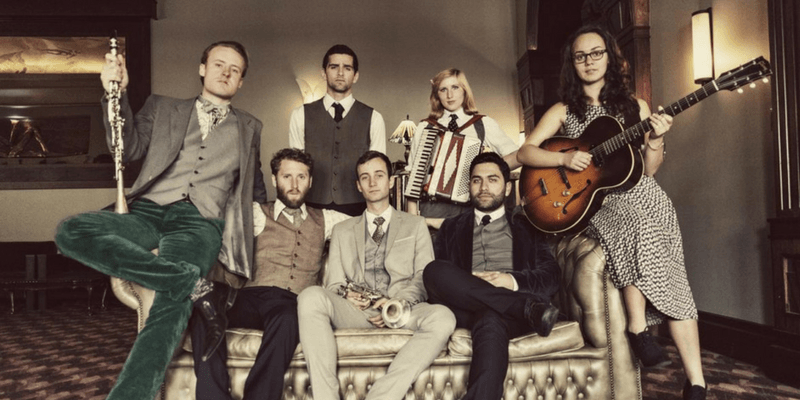 Dance the night away to a repertoire of vintage 1920s and 1930s Jazz from this modern and charismatic seven-piece band. Bubbles on arrival followed by a decadent 3 course dinner. Cash bar available.